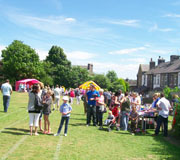 A mixed arts, folk and community event, held on the second Saturday in July. Alternate years with Shelley Open Gardens. 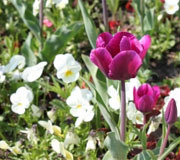 Visit gardens with stunning views, the award winning churchyard, sensory garden and the heritage of Burton Dean Park. 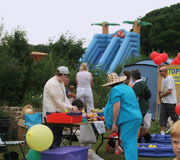 A biennial event held on the first full weekend in July. A quality selection of gardens from large to small, all having a different feel to appeal to all tastes. There are cottage gardens, formal bedding displays, vegetable plots, wildlife-friendly gardens and ponds, spectacular herbaceous borders plus a National Garden Scheme show-stopper. Our gardens are hidden gems! Refreshments and toilets available at both Churches. This is a traditional agricultural show featuring animals, trade stands, flowers and vegetables, horticulture, handicrafts, cookery and woodcarving. A fun day out for all the family in the summer. It takes place on the first Saturday in August each year. 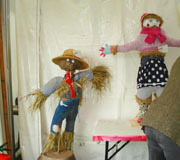 An annual event, with BBQ, scarecrow trail and family garden party. 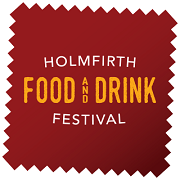 Holmfirth’s annual multi-arts event presents a fresh take on the town, its history and its communities through newly commissioned work, theatre, spoken word, comedy, music, community and participatory projects. 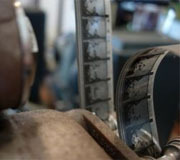 The film festival celebrates the achievements of the film industry and also provides a platform for new films with a northern flavour and the best short and international films. The festival is a one-week long series of events with film screenings, talks and guest appearances. Honley Show is one of the most prestigious, best attended and well respected rural shows in the country. Now in its 78th year, the Show's Farnley Tyas showground remains one of the region's best venues to showcase a stunning range of activities, agricultural events, stands and displays. You can have a fantastic day out with your friends or family travelling along a 15" narrow-gauge railway and being pulled along by Hawk, Owl, Fox, Badger or Jay, the Kirklees Light Railway's five friendly little engines. 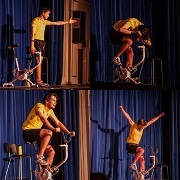 The KLR has a special programme of events running throughout the year. 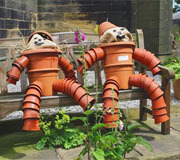 The Art Exhibition is a bi-annual event, alternating with the Shelley Garden Festival. The exhibition displays paintings, sculptures, pottery, jewellery and textiles of local artists. 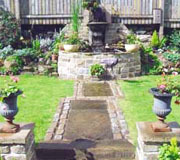 The Open Garden Festival is an event with over twenty gardens throughout the village open for public viewing. 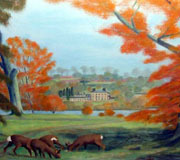 It is a bi-annual event on alternate years with the Burton Open Gardens Festival and the Shelley Art Exhibition. All local groups are invited to run a stall on the day and any profits made will be redistributed around the village. The gala is held in July every year. Shepley is a rural village on the edge of the Peak District in West Yorkshire. Shepley Spring Festival is a 3 day festival celebrating the very best of traditional music, song and dance from Britain and beyond.